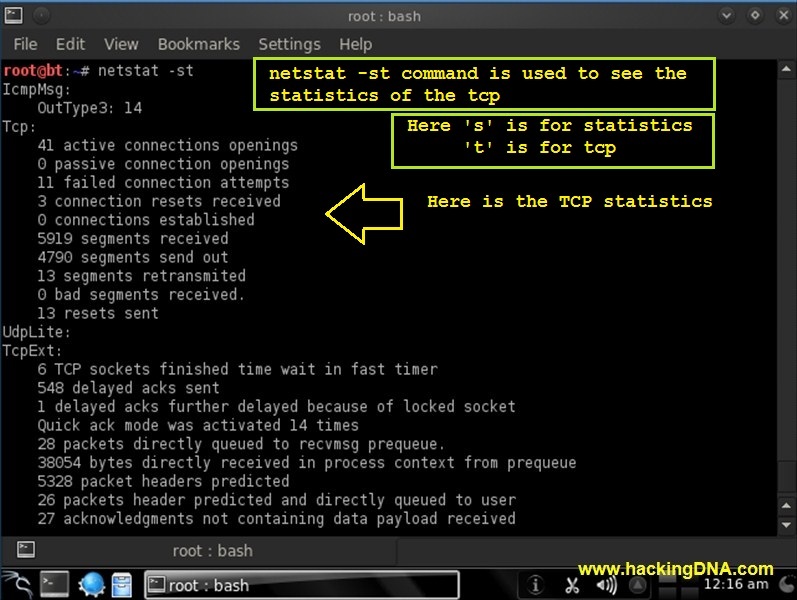 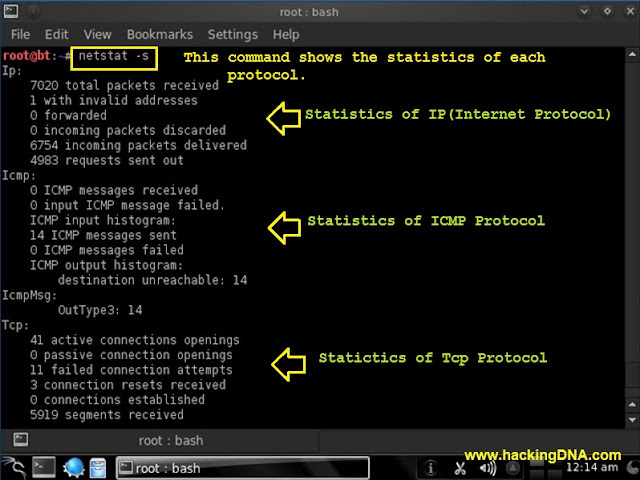 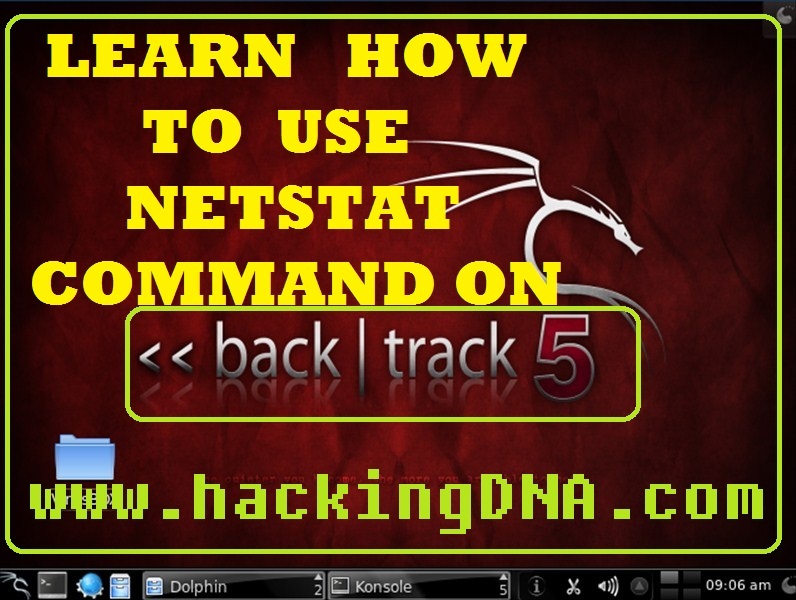 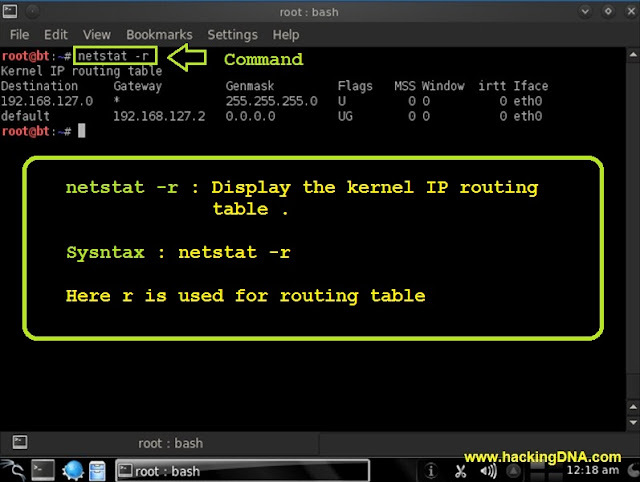 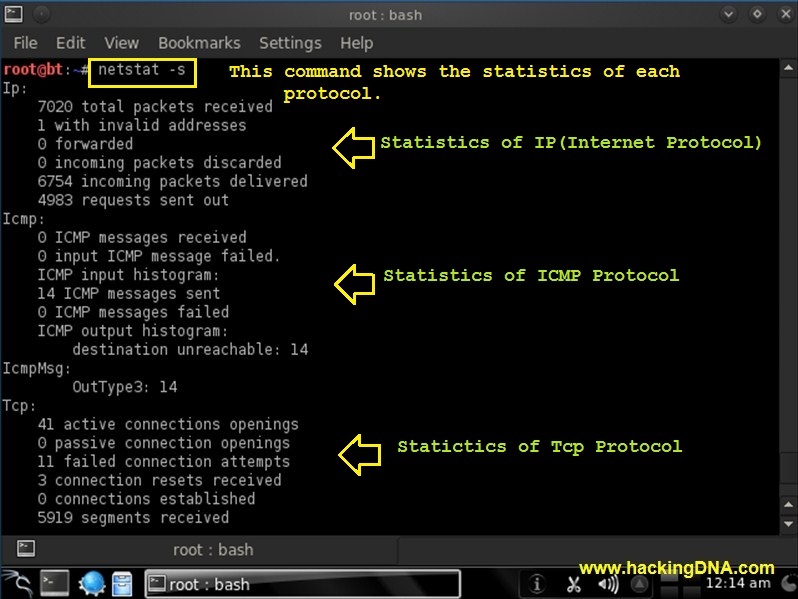 The netstat command is used to display the network statistics or network information . 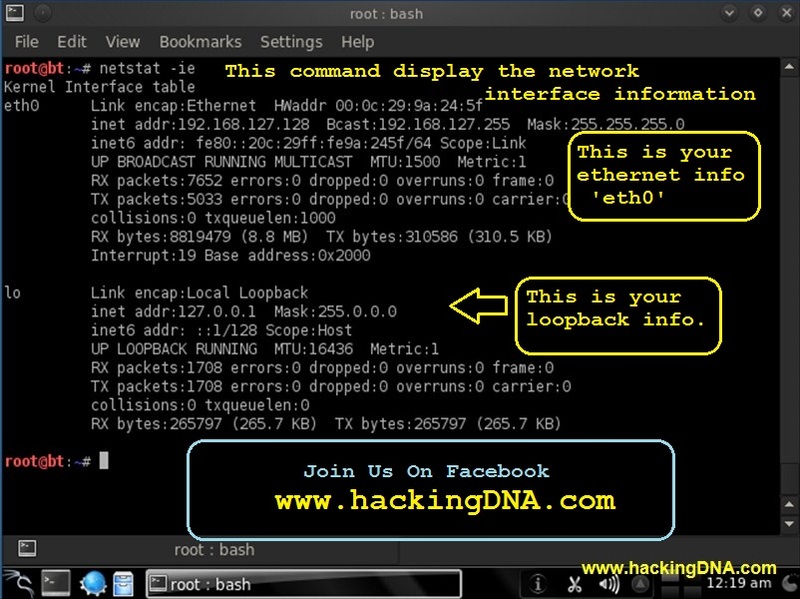 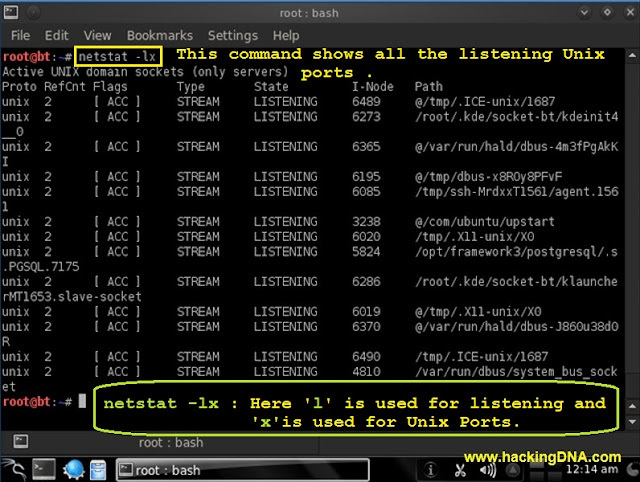 So lets start leaning each netstat command on Backtrack 5 .
netstat -au : This command shows all the udp ports . 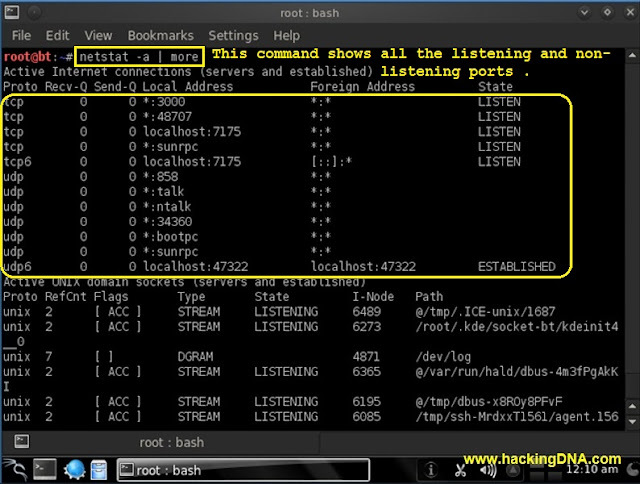 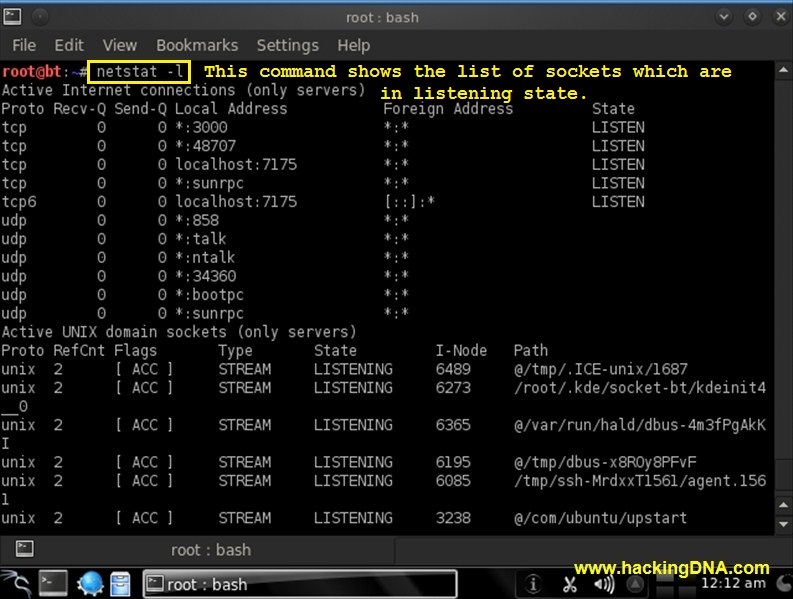 netstat -l command : It shows all the sockets which are in listening state . netstat -lx command : is used to display all the Unix ports. netstat -s command :used to dispaly the interface. 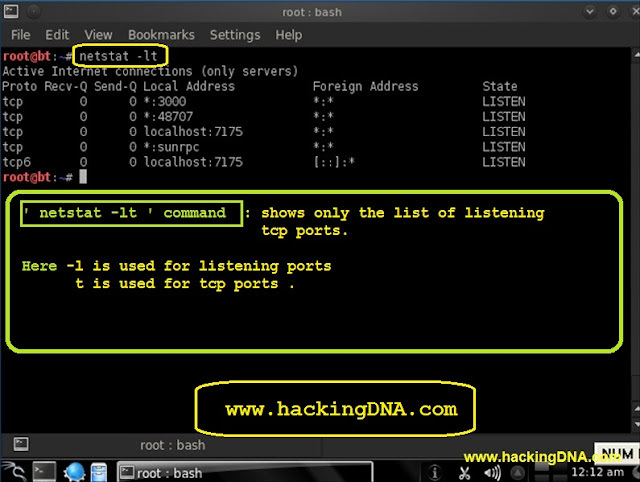 netstat -s command :used to dispaly the network interface information.